Toyota announced today that it has entered into an agreement with Ford and Livio to deploy SmartDeviceLink, an open source infotainment platform for in-car smartphone connectivity. For now, this means the world's largest automaker, continues to pass over CarPlay, which has seen wider adoption in 2016, despite being listed as a committed CarPlay partner on Apple's website. "Developing a safer and more secure in-car smartphone connectivity service which better matches individual vehicle features is exactly the value and advantage an automaker can offer customers," said Shigeki Terashi, Executive Vice President of Toyota Motor Corporation. "We expect that many companies share our view and will participate in the industry SDL collaboration." SmartDeviceLink, which can be customized to match each carmaker's in-car system characteristics and interface, was originally developed by Ford, which uses its own version of the software called AppLink as part of its larger SYNC platform. Toyota will be the first carmaker to adopt SDL, while QNX and UIEvolution announced on Monday they will support the software in their future products. In August 2011, Toyota and Ford entered a collaboration agreement for next generation in-car telematics system standardization. In June 2015, Toyota entered into an agreement with Ford and Livio to explore SDL introduction to its vehicles. Toyota’s investigation and consideration of SDL has been completed successfully, and the company found SDL suitable for its in-car app connectivity. Ford and Fiat Chrysler both announced today that CarPlay and Android Auto support will be added to select 2016 and 2017 vehicles, singling out Toyota as the only top five automaker to hold out on Apple's and Google's software. Mercedes-Benz and Hyundai also announced specific CarPlay plans in recent weeks. CarPlay is or will be available in a wide range of 2016 and 2017 vehicles from Audi, Buick, Cadillac, Chevrolet, Chrysler, Dodge, Ferrari, Ford, GMC, Honda, Hyundai, Jeep, Kia, Mercedes-Benz, Mitsubishi, Porsche, Volkswagen and Volvo. The feature is included stock or as an upgrade by itself or as part of a larger entertainment package. Toyota will demonstrate an SDL integration in the Livio exhibit (LVCC) at CES 2016. I find it really funny that the execs of Toyota believes this is a competitive advantage as they are differentiating themselves from the market. Someone please tell them they are differentiating themselves as idiots. SmartDeviceLink comes with a free CurrentC card. Also please remember that both Android Auto and Apple Car Play can be purchased in aftermarket units. So you CAN still buy a Toyota and replace the head unit, if you really wanted to. Not a good idea as modern cars use CAN Bus, which allows you to control things such as lighting, headlight settings, etc from the radio (which a friend of mine's 2012 Camry allows you to do). Switching the radio out will mean losing access to all of these settings, because the aftermarket stuff can't communicate with the CAN bus. Also they're usually very ugly. Switching out the radio in my Mercedes is near impossible due to Can Bus unless I want to lose access to everything other than moving forward and backward. 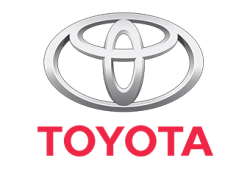 Inevitably everyone will post a "I'm not buying a Toyota.." post but if you really do like Toyotas I think the other thing to do is call or e-mail their corporate office to show them you're not happy with this decision and it negatively impacts your perception of the cars and their company. I'm a Honda / Subaru guy myself. You guys crack me up. I knew the comments would be full of "I'm not buying a Toyota then". All these 'i'm not buying a toyota posts'. I find it funny that you guys would base your $20k+ purchasing decision on the radio! Sure, I can see it swinging your decision but to completely ignore an entire manufacturer because it doesn't have the 'Apple sticker' is a bit sheepish.